This August, Integrity Staffing Solutions is focusing on hiring veterans of our nation's armed services (more about that below). So we thought this would be a good moment to share some of our expertise on making the leap out of uniform and into civilian success. There's no doubt about it, the military provides people with skills civilian employers want. And we're not just talking about the functional expertise needed to perform a job. Companies also look for the "soft" skills that make a valuable employee: teamwork, organization, commitment and perseverance, to name a few. 2. Relate your assets to employers' needs. Often, all it takes is some smart reframing of your duties and accomplishments while in the service, both on your resume and during the interview. For example, you might never have worked in a retail store but still have relevant skills, such as inventory control, ordering supplies or providing security. One veteran parlayed his experience in field communications into a career in customer service, which also requires excellent communication skills. 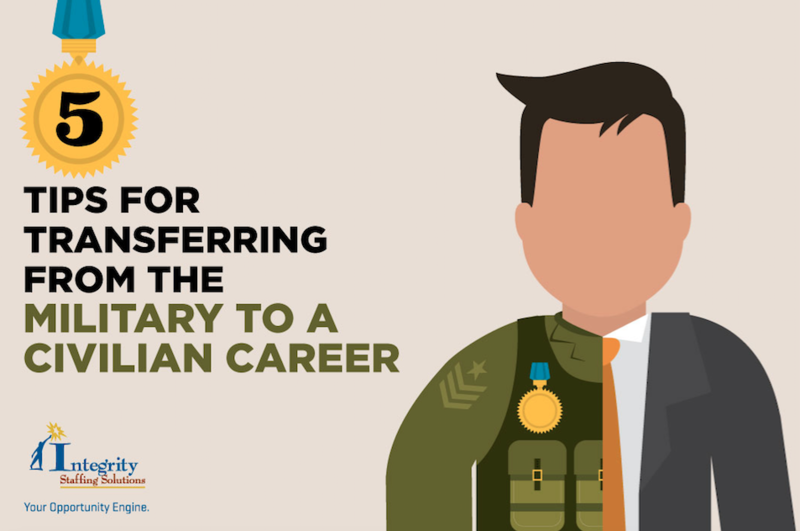 As part of your reframing mission, remember that the person reading your resume and cover letter might never have been in the military. Be careful to translate all military jargon into language he/she will understand. 4. Look for learn-while-you-earn opportunities. A great way to get your foot in the door is to take a temporary position that includes training. 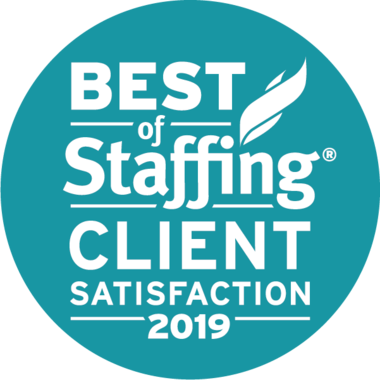 Many of Integrity's client businesses come to us for this type of employee, and we are proud to say that we have seen temp gigs turn into full-time job offers on numerous occasions. 5. Look for veteran-friendly employers. A great place to start is by signing up with recruitmilitary.com, where the nation's top companies look for top talent. If you're interested in starting your own business, check out the resources for veterans at the U.S. Small Business Administration. Gearing up for our extremely busy 4th quarter hiring season, Integrity is partnering with Recruit Military to connect with job seekers with military backgrounds and their families. Our staff members, who themselves are veterans, will represent us at 15 all-veteran job fairs in cities across the nation where we have clients. We hope to see you there! For more information about what we are doing to help out, click here. To see Recruit Military's entire job fair calendar, click here. To access Recruit Military's resources, visit recruitmilitary.com.